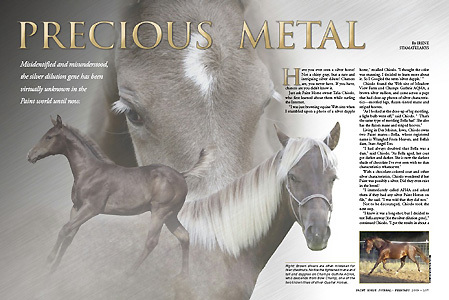 In 2009 & 2010 our horses were part of two publications in the Paint Horse Journal. breeder - Silver Spring Farm, was shown as well. The second publication was in the April 2010 issue. 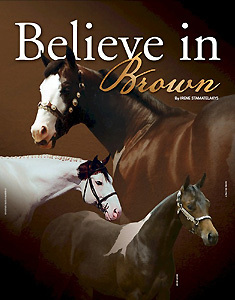 This article was called "Believe in Brown" and was about the brown gene. A photos of Champs Guthrie represented brown silver. Click the photos or links below to read the articles. Monique developed and ran the site from 2007 through early 2010. Due to life circumstances a wonderful friend, breeder, and horse color enthusiast, Audrey managed the site. Along with Audrey and Monique several fellow breeders helped with the Silver Equine Forum. We are so grateful for her support and the overall support of the Silver Community. 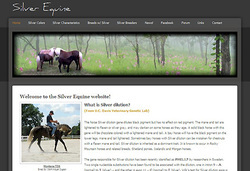 Now with life back on track, Monique with Audrey's support, is working on and updating the Silver Equine site. She is hoping to launch it in early January 2012.